Since 2001, Sprout Studios has been working across industries in all types of design. From designing life-saving medical devices to creating record-breaking crowdfunded travel bags, our studio continues to push boundaries and pioneer new territories in design. Although cannabis has only recently become recreationally legal here in Massachusetts, Sprout has spent the last 4 years working with numerous companies in the cannabis marketplace. Our long term strategic partnerships with brands like VYB, Commonwealth Cannabis Co (COMMCAN), and The Heirloom Collective (THC), have even run parallel to our own internal entrepreneurial endeavors throughout preparation for this exploding marketplace. As Sprout continues to grow and evolve, so does the cannabis industry, arriving at the moment where design can make a tremendous impact. The mainstream adoption of both medical and recreational cannabis offers up huge opportunities for branding, packaging, experience, strategy, and product design. 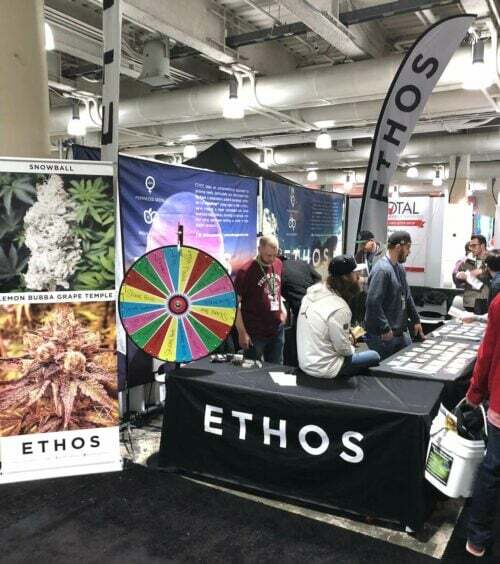 This is how part of the Sprout team found themselves at NECANN (the New England Cannabis Convention) at the Hynes Convention Center. 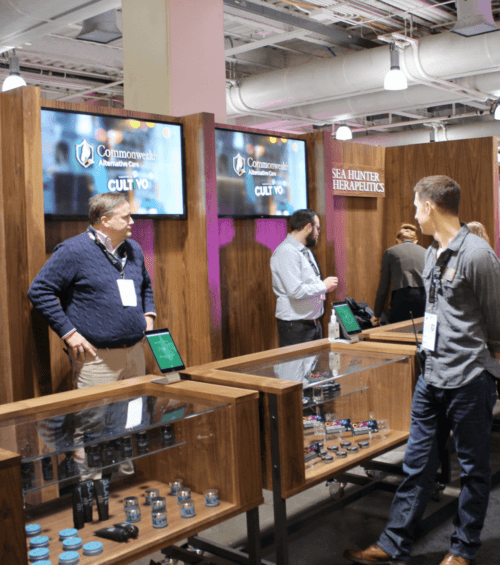 Our designers walked the floor connecting with businesses, entrepreneurs, investors, patients, advocates, and consumers — and we even intersected some of our previous clients & partners, exhibiting some of Sprout’s existing design work within the market place. 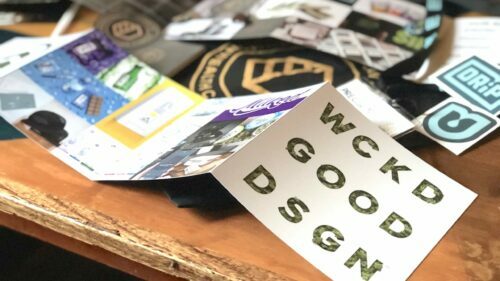 We’re excited to see how the cannabis industry changes and grows — and we are looking forward to see how much impact we can make through design! 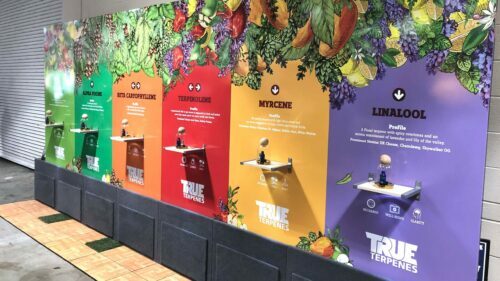 Throughout the past decade, Massachusetts has evolved from the (once questionable) Freedom Rally held annually in the Boston Commons, to mainstream and advertised events like NECANN. 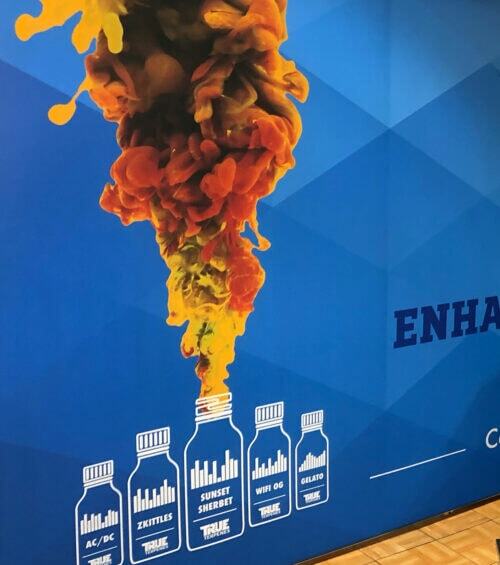 This convention provides businesses and consumers with the education, networking, and equipment they need to stay competitive in the industry — and acquire genetics that are pertinent to the treatment of patients with specific needs. 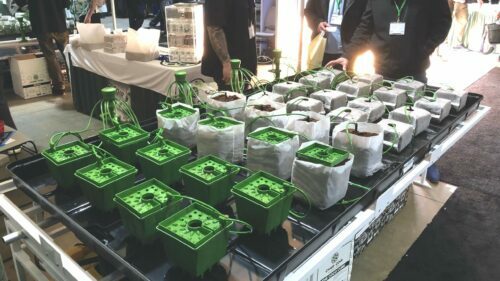 This year at the 2019 NECANN Convention, there was a clear increase in the amount of large-scale operation focused products. These are mainly products that would live in the laboratory at a grow facility, and function as extraction or distillation devices. Although intimidating and seemingly out of place for the recreational cannabis smoker, these scientific devices are actually crucial to the progression of the industry, giving treatment facilities the ability to produce high quality, safe, and specific extracts to patients — in volumes that can supply the demand. The need for more capable equipment runs parallel to the discovery of other beneficial cannabinoids. Five years ago these events were mostly THC (tetrahydrocannabinol) related, now we are seeing quite a bit focused on other extracts like CBD (Cannabidiol), THCA (tetrahydrocannabinolic acid), and most abundantly – terpenes. On the other side of the spectrum, the NECANN convention also portrayed a culture supportive of the recreational cannabis industry. Besides seed / genetic distributors, we are starting to see companies pop up that serve the integration of cannabis as a normality. 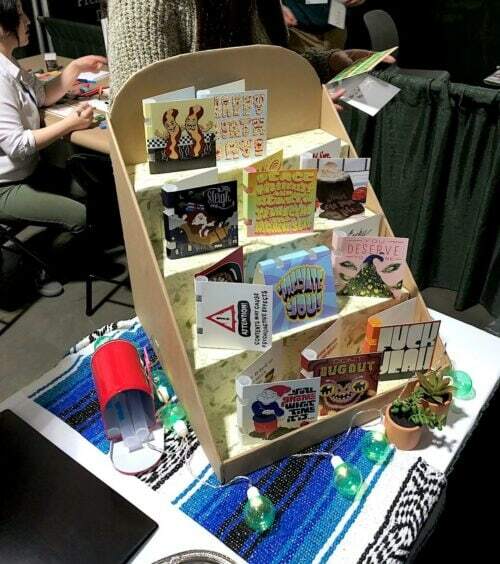 Puff Card for example, is a company that supplies funny and friendly greeting cards that contain a joint tube, and come with a custom envelope.